Emotions Matter sends letter in September to the Substance Abuse and Mental Health Services Administration (SAMHSA) in Washington D.C., asking the administration to update its information about BPD on its federal website and list “borderline personality disorder” as a major mental illness. Click here to see a copy of the letter. Emotions Matter supports 2017 Congressional Letter for BPD Advocacy! Thank you to all our supporters, especially Rep. Barbara Comstock, Rep. Ted Lieu, Rep. Ryan Costello, Rep. Kathleen Rice, Rep. Paul Gosar, and Rep. Claudia Tenney for participating in our #TakeBPDSeriously campaign. Click here to see the Congressional Letter to the Honorable Thomas Price, M.D., Secretary Department of Health and Human Services. On May 13th, Paula Tusiani-Eng and Sarah Rooney, members of Emotions Matter, Inc., met with Dr. Bruce Cuthbert, the Acting Director of the National Institute of Mental Health in Bethesda, Maryland, along with Dr. Perry Hoffman from the National Education Alliance for Borderline Personality Disorder (NEA-BPD) and Dr. Carla Sharp from the University of Houston. 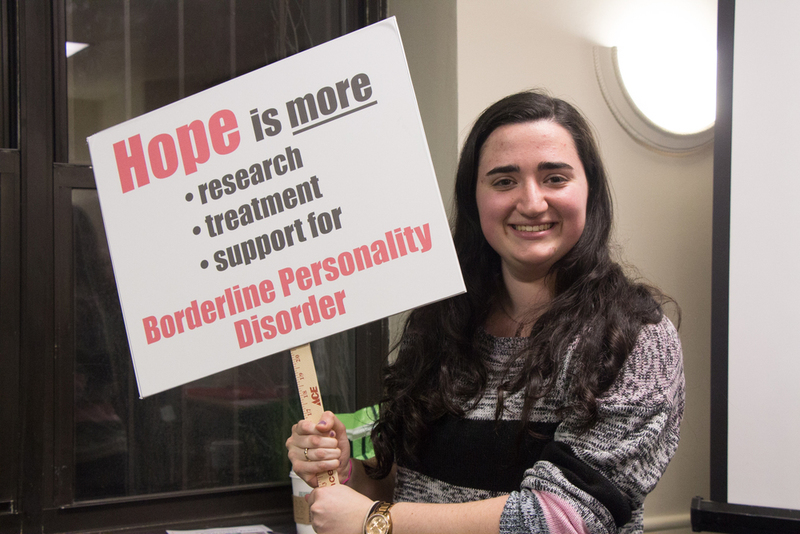 They presented Mr. Cuthbert with printed copies of signatures and comments from the Change.org petition, which advocated for more research funding for Borderline Personality Disorder (BPD). They also shared stories from individuals and family members from around the country who have been impacted by BPD. Dr. Cuthbert thanked us for informing him about BPD, and will take the petition under review. Emotions Matter would like to thank all of those who participated in our advocacy campaign for the months of April and May. We made our goal of 5,000 signatures and are effectively advocating for BPD! Did you know that BPD was the LEAST FUNDED mental illness by NIMH in 2015? We want to educate our elected officials about BPD and its impact on society. The following is a picture of our members speaking with legislative staffers with the Congressional Mental Health Caucus, chaired by Congresswoman Grace Napolitano.